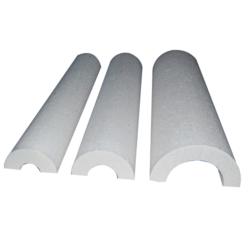 We are the largest manufacturer of Thermocol Pipe Section for hot and cold insulations in all over India. We are one of the best Thermocol Pipe Section for customized packaging. These Thermocol products are used in various industries such as food and beverage, electronic industries, and much more in order to pack a wide variety of goods and products. 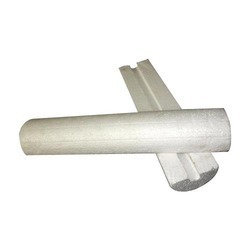 EPS Thermocol Pipe Sections are EPS blocks that go with any size of a nominal bore of pipe used for thermal insulation. Being high temperature and water resistant, our pipe sections find their application in packaging of thin and long objects. 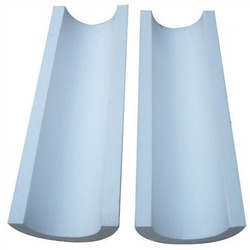 Available in different sizes and thicknesses, they are mainly used for the maintenance of the internal temperature of ducting used to transmit cool and compressed air from external surrounding temperature. Looking for EPS Thermocol Pipe Section ?